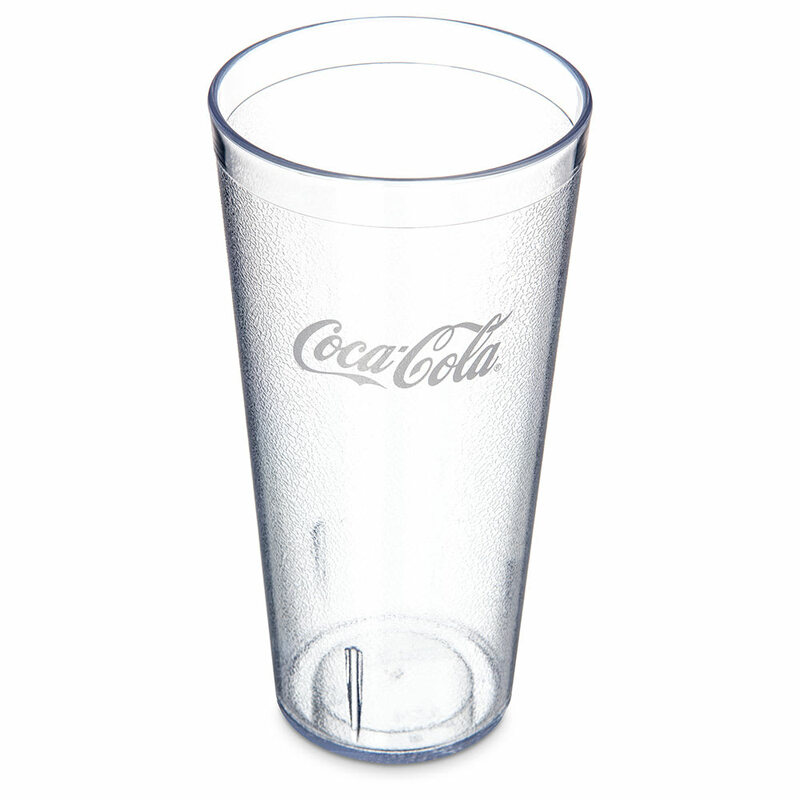 The Carlisle 52243550G Coca-Cola® Stackable™ tumbler is made of SAN plastic to resist breaking and other minor damage. Tapered sides enable it to be stacked, while interior lugs prevent jamming. 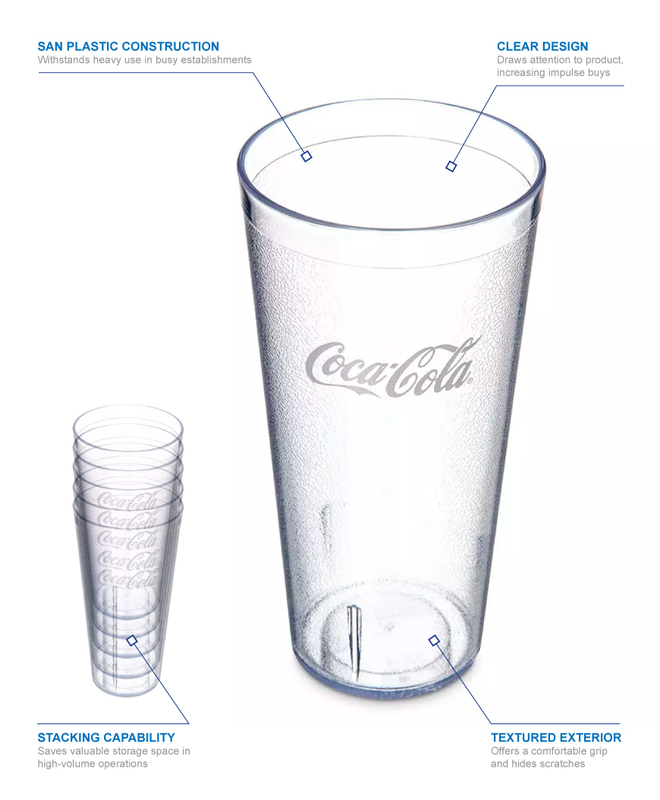 Since it is clear, the tumbler gives customers visibility to help promote product. 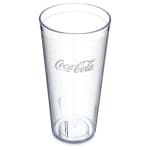 The cup is perfect for serving sodas. Find out more about SAN and other plastics used to make drinkware in the plastic drinkware buying guide.